Sir Robert Yaxley and Wild Frontier Ecology – navigator and ever-ready mountain goat! For the 100% commitment from inception to finish line. Young Andrew Goodrick – for marching 4 days and the best part of 100 miles with us. Been the best raconteur, cook and camp breaker. Mrs Goodrick for the marching cakes! Joe BlackBar Brewery – for putting your name to Dove Step, brewing Dove Step ale and providing us with much needed beer staging posts! We couldn’t have dreamt of a better sponsor. Sven Wair – logistics manager for ensuring we had somewhere to camp and or stay each evening as well as fielding the press. Ms Anna Cornell – for arranging breakfast and a hygiene stop when we most needed it, keeping our spirits up (especially Sir Rob’s) and lightening our packs as we used maps and equipment. Ms Fiona Shaw – for seeing us off at Lakenheath, the marching muffins and organising us at the finish and beyond when at our most decrepit! The telephone pep-ups and looking after my wee brun hund whilst we walked. My Mum – for the ‘quotes of the day’ and ensuring we were quickly spoilt once we finished. Plus dealing with 2 week old laundry! My Dad – for joining us for two evenings r n r and gathering the medical supplies we so sorely needed and hadn’t thought to pack! Rowan and Zena Yaxley – for putting up without a Dad for 2 weeks and keeping him chipper via telephone. Toby and Keith Collett – for the unrivalled hospitality and medical advice when we were in a medical pickle! Your generosity made Dove Step. James and Ann Spencer – for letting us take over a relaxing Sunday afternoon and raid the fridge! Lydia and all at Saltholme – for creating a celebratory finish and immediate beer / feed recovery. Bridgedale Socks – for supporting us from training to execution and minimising the damage to our feet. Tris (aka The Inked Naturalist) – for the Rocky quotes, welfare calls and continued online support. Welcome commitee – Mum and Stephen, Mr and Mrs Goodyear, Mr Holliday, Ms Martin, the Northern Echo and Tees Radio as well as the staff and volunteers at Saltholme RSPB. Fundraisers – everyone who supported our JustGiving page which has seen us exceed our origional fundraising target – twice! 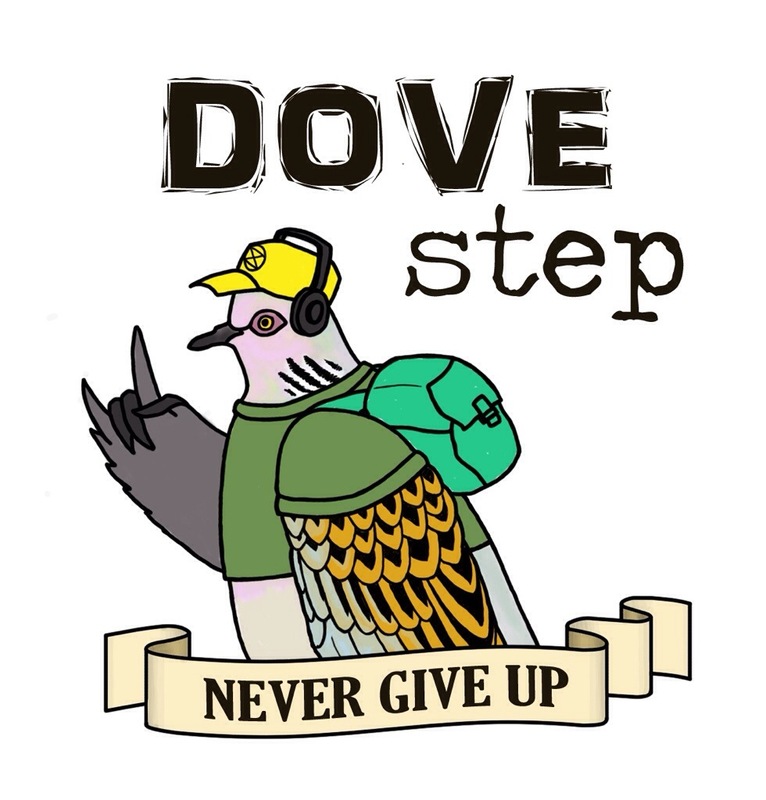 Dove Step’ers – everyone who engaged with our journey, read the blog, shared and RT’d our passion for Turtle Doves and birds. You walked with us!